How Far Apart Should Contractions Be Before Going to the Hospital? So, when should parents go to the hospital for labor? Most care providers recommend parents to come to the hospital at 511 – when contractions are five minutes apart, each lasts one minute, and this has been going on for one hour. PROS – 511 will likely get parents to the hospital with plenty of time before delivery. Mothers will have enough time to receive an epidural if desired and other necessary medications (like antibiotics for group b strep) or procedures. CONS – 511 can easily get parents to the hospital too early, during the early stage of labor, which is typically best spent at home. Getting to the hospital early may mean parents are sent back home, which can be exhausting and discouraging. When at the hospital too soon, parents could also increase the risk of unexpected medical interventions like pitocin, which is given to strengthen a stalled out or slow labor. Other care providers recommend parents to come to the hospital at 411 – when contractions are four minutes apart, each lasts one minute, and this has been going on for one hour. PROS – 411 gives parents a better chance of arriving at the hospital during active labor, instead of early labor, which increases the odds of being admitted. 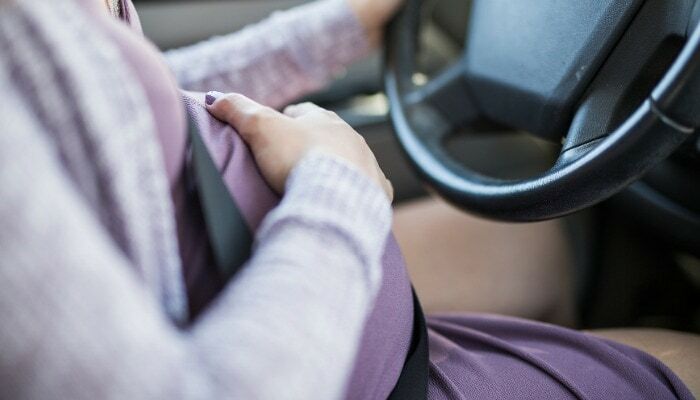 In my experience, 411 also decreases the chance of care providers needing to “speed things up” with Pitocin because labor is less likely to stall during active labor. But don’t worry, using 411 to figure out when go to the hospital will still likely allow for plenty of time to get an epidural and other needed medications. CONS – Some parents may feel nervous coping through active labor at home on their own. Having not experienced labor before, the stress of not knowing when to go may be too much for some. Parents with a history of a fast first birth may also feel anxious about a fast second or third birth. Hiring a doula is a wonderful solution to this dilemma! Doulas are excellent at navigating the stages of labor at home, a birth center, and the hospital. Some parents choose to come to the hospital at 311 – when contractions are three minutes apart, each lasts one minute, and this has been going on for one hour. PROS – 311 is typically used when parents are hoping to show up at the hospital towards the tail end of labor – transition – just in time to push. Laboring at home as long as possible can often minimize unnecessary medical interventions, reduce the risk of a stalled labor, decrease pain, and increase comfort for laboring moms. Many care providers in my area encourage their healthy, low-risk VBAC clients to “show up ready to push”. CONS – 311 is not for the faint of heart! By following 311, some parents could unintentionally have a car baby, or worse, not receive the medical attention mom and baby require. Also, when arriving too late to the hospital women that need antibiotics for group-b strep may miss their dosages, which could translate to increased medical intervention for baby. Another thing to consider when having a second or third baby, is that these subsequent births can be much faster than the first. Talk to your care provider to see which strategy would be best for you and your family. NOTE: If you are fearful of the hospital or your care provider, explore other options. Fear is not a good reason to use 311! How Far Apart Should Contractions Be at the Beginning? The very beginning of the first stage of labor is called early labor. During early labor parents may feel excited, optimistic, nervous, and relieved. Contractions are shorter, around 30 seconds long, and further apart, at five to seven minutes apart. The cervix is, on average, less than six centimeters dilated at this point. The contractions during early labor are noticeable, but manageable with distraction, breathing, rest, and other normal day-to-day activities. For a detailed explanation about what contractions feel like, head on over here. How Far Apart Should Contractions Be During Active Labor? As labor progresses to active labor, contractions become longer, stronger, and closer together. During active labor parents may feel focused, less talkative, unsure, serious, and/or determined. Contractions are longer, around 60 seconds long, and closer together at three to five minutes apart. In active labor the cervix is open to six centimeters or more. During active labor, women have to actively cope through their contractions. In early labor it is much easier to walk and talk through contractions. 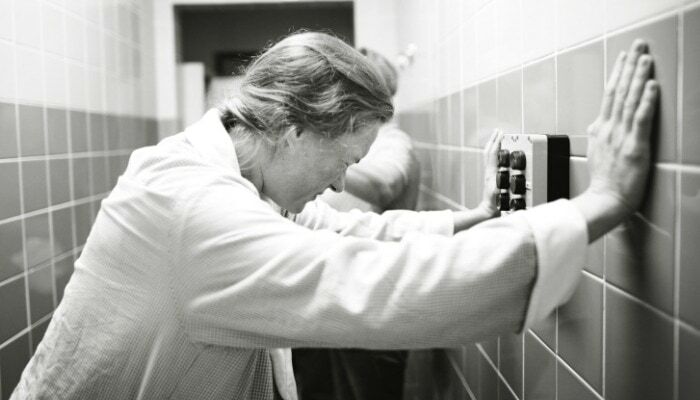 At this point, however, women find it necessary to stop and do something to actively cope through contractions. How Far Apart Should Contractions Be to Call the Doctor or Hospital? Many care providers, especially out of hospital midwives, appreciate a heads up call during early labor. Remember, early labor contractions are shorter, around 30 seconds long, and further apart, at five to seven minutes apart. Other care providers may want parents to wait until active labor to call the doctor or hospital. Again, active labor contractions are longer, around 60 seconds long, and closer together, at three to five minutes apart. Other care providers, because of of their large patient load, don’t need a heads up call. They’re at the hospital ready to rock-and-roll! 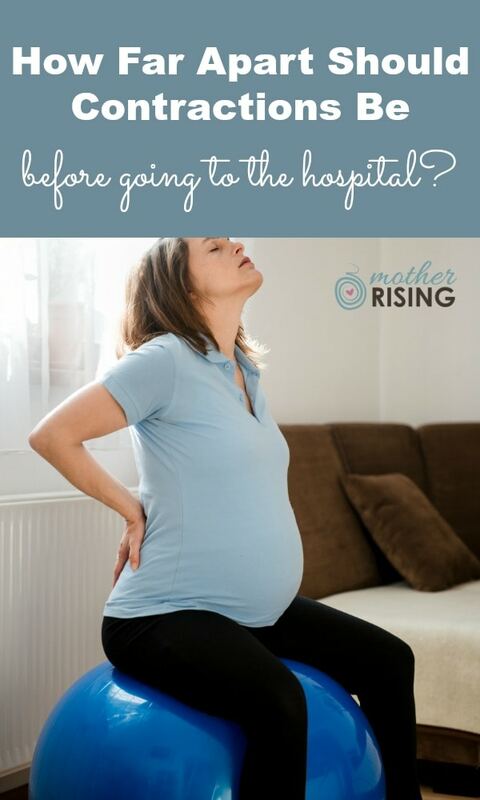 In this scenario, if you were to call your doctor or the hospital in early or active labor, you would likely speak to a nurse that could help you to know when to go to the hospital. Talk with your care provider to determine how far apart should contractions be to call the doctor or hospital. Each woman, baby, and care provider are unique and operate differently! However, if at any point you would like information, questions answered, or reassurance, no matter where you are in labor, call your doctor or hospital! That’s what they’re there for. How Far Apart Should Contractions Be Before Getting an Epidural? Many care providers recommend waiting until active labor to get an epidural. Active labor is when contractions are long, strong, and close together, around three to five minutes apart. On average, the cervix is open to six centimeters in active labor. 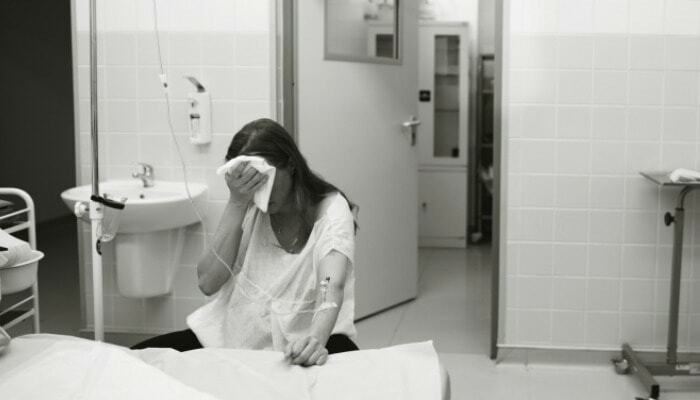 For tips on how to cope through painful labor before getting an epidural, hop on over here. How Far Apart Should Contractions Be Before Pushing? A woman is ready to push after transition, when the cervix is fully dilated (open) to ten centimeters, and she feels the urge to push. Transition, the part of labor that comes right before pushing, is one of the most challenging parts of labor. Contractions are long, around 90 seconds long, strong, and very close together, at around two to three minutes apart. Sometimes, right before pushing, contractions space out a little to three to four minute apart. This can be a welcome reprieve! More often than not, however, contractions continue at two to three minutes apart before pushing. Yes, the timing of contractions is a pretty good indicator about where a woman is in labor. But don’t stop there, there’s more to it than that! 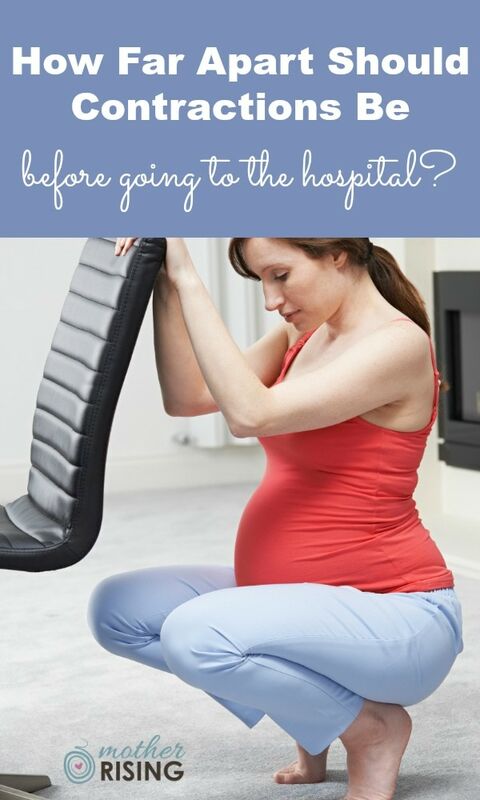 Head on over here to read more about how to know when to go to the hospital for labor.